The sun could not have stayed away much longer. All of us in New England, including the most patient, were just about fed up with our quasi monsoon of a summer. The 4th left hope for all of us. And guess what…. 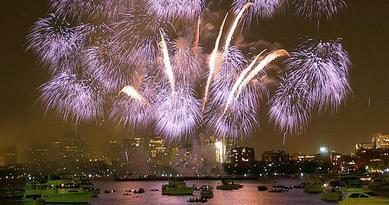 Independence Day didn’t let Boston down. Now we can play hookie from work and crash at the beach. This entry was posted in Happy Happy Fun Times and tagged 4th of July Boston, Beach, Boston, dresses, Happy Happy Fun Times, Monsoon, Summer. Bookmark the permalink.